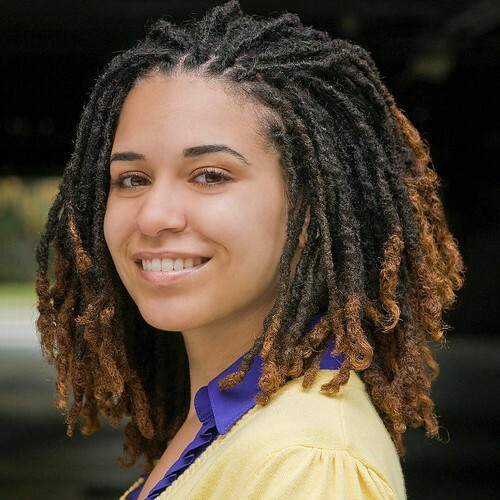 Are dreadlocks unprofessional, or is the workforce just racist? Just over a year ago, the 11 Circuit Court of Appeals dismissed a racial discrimination case brought by Chastity Jones. Jones claimed that after initially being hired by a company, the offer was withdrawn after she refused to cut off her dreadlocks. For Black people and natural haired professionals everywhere, this case set a controversial and problematic precedent by implying that it isn’t a discriminatory practice to not hire someone or terminate their employment because their hairstyle is deemed unprofessional. The controversy over natural hairstyles has played out in schools and workplaces across the country. Young women have been suspended and even had their hair cut off for wearing it in its natural state. It was only this past February that the military ban on braided hairstyles and dreadlocks for Black women was abolished. Just this month, a young woman was harassed by her manager at Banana Republic for having braids that were “too urban,” for the retailer’s image. Companies can say all they want that their policies refer to all hairstyles that are deemed excessive. But when is the last time a white person was fired for wearing their hair in its natural state, be that curly wavy or straight? When is the last time a man was let go for having long hair or a woman was let go for having uniquely colored hair? In the ruling of the Chasity Jones case, the judge asserted that racial discrimination had to happen on the basis of skin color, and Jones’ hair was a “fashion choice,” that railed against the company’s ban on “excessive hairstyles.” Thus, the rescission of her job offer wasn’t based on race and wasn’t illegal. Consistently, policies dictating professional hair choices are filled with coded language that targets minorities and people with coarser hair and labels it “urban,” “unkempt,” “distracting” and, “excessive.” Yet, most natural hairstyles are examples of people wearing their hair the way it grows out of their head – in a manner no different than a non-black person wearing their hair down. Black people are subjected to numerous forms of violence through conversations (“how do you get your hair like that?,” and the dreaded “can I touch it?” come to mind) and policies like these in the workplace and in educational institutions and are still able to function to the best of their ability. It’s hard to believe that a mere hairstyle proves such a hindrance to the completion of an honest day’s work or a school day. Furthermore, the bans on natural hairstyles perpetuate and encourage institutional racism. If you google “unprofessional hairstyles,” many of the first results show women with natural hairstyles, from updos to afros and even braids. 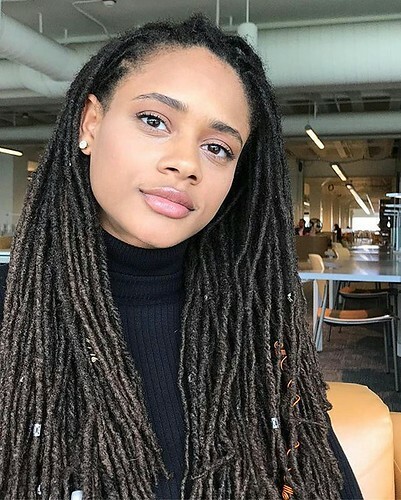 A 2016 study by the Perceptions institute found that 20 percent of black women feel pressure to wear their hair straight in work settings, as opposed to only 10 percent of white women. White women were also shown to perceive natural, textured hair as being less professional than black women while looser, long curls were given higher professionalism ratings by both black and white women. Authorities, be they employers, the legal system, and even search engines, often set the standard for how the rest of the world functions. The disturbing reality that so many authorities see dreadlocks and natural hair as problematic reinforces negative stereotypes across the board and contributes to the continued othering of black bodies. The reinforcement of caucasian-influenced hairstyles as the standard and more appropriate in the workplace prevents Black women from wearing their hair in a way that is either accessible or comfortable to them while they do their work. As long as the hair is clean, doesn’t impede work and doesn’t contain any blatantly offensive or protocol-violating aesthetics (hats, messages shaved into the head, etc. ), Black people should be given the same freedom to style their hair as they please without worrying that it will affect their income or livelihood.